What began as a simple interest has turned into a passion project for Verónica Sanchis Bencomo. Through her website Foto Féminas, the photographer publishes monthly features in Spanish and English that highlight the work of female photographers in Latin American and Caribbean countries. Now Sanchis has taken her work from the web to a library. The library, which made its debut in August, does not have a permanent space, but travels with Sanchis to photography festivals. The library features photo books filled page-to-page with images from female photographers from Latin America and the Caribbean. With the help of the Chilean publishing house, La Visita, the photographers donated their works to the library. The María Cristina Orive library has been displayed in Hong Kong and Taiwan this year. The collection of books was hosted in book fairs, a print shop, and a migrant women’s refuge in Asia. The library is named after Guatemalan photographer María Cristina Orive. Sanchis had the opportunity to meet Cristina while attending the GuatePhoto festival in Antigua, Guatemala and was extremely inspired by her work. 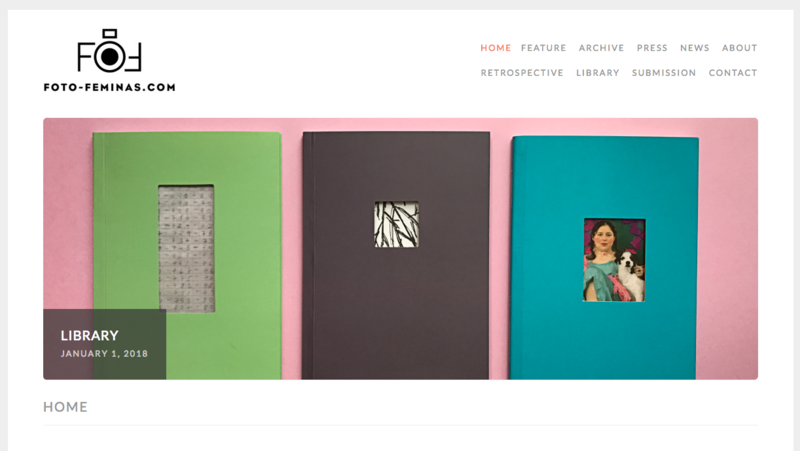 Now others can be equally moved as they peer through the hard-back books of Latin American women photographers. Before August, this type of content was primarily accessible through the Foto Feminas’ website. “I am very proud the Foto Féminas library takes her name,” Sanchis told the Knight Center. The idea for the library came to the photographer after attending several photography festivals, where she saw photographs in person and sometimes even had the opportunity to meet the person behind the lens. Foto Féminas participated in its first photography festival in 2015 in Antigua, Guatemala with the work of 12 female photographers. Now, after two years of dedication and hard work – with help from other photographers who contributed books – the library has turned from a fantasy into reality. Photography wasn’t originally Sanchis’ area of study while attending Swansea Metropolitan University in Wales for her photojournalism degree. Her childhood interest in the art form was rekindled, however, when a professor suggested that she take an introductory photography course. Sanchis credits the research she did for her undergraduate dissertation – which was about the difference in perspective between local Mexican and foreign photographers – with helping her to develop Foto Féminas. As a student, Sanchis noticed a glaring issue: locating the works of contemporary, female photographers in Latin America was anything but effortless. While the images and stories of established female photographers could be found, Sanchis said documentation of women currently behind the lens was nearly impossible to find. After graduation, Sanchis began her online work in 2013 with the London-based cultural magazine Ventana Latina, which is a part of a charity organization called Latin American House. The organization helps promote Latin American culture in the UK and also provides language help and legal advice for the Latino community. She contributed to a feature called “10 Questions With,” in which she would interview Latin American Photographers. 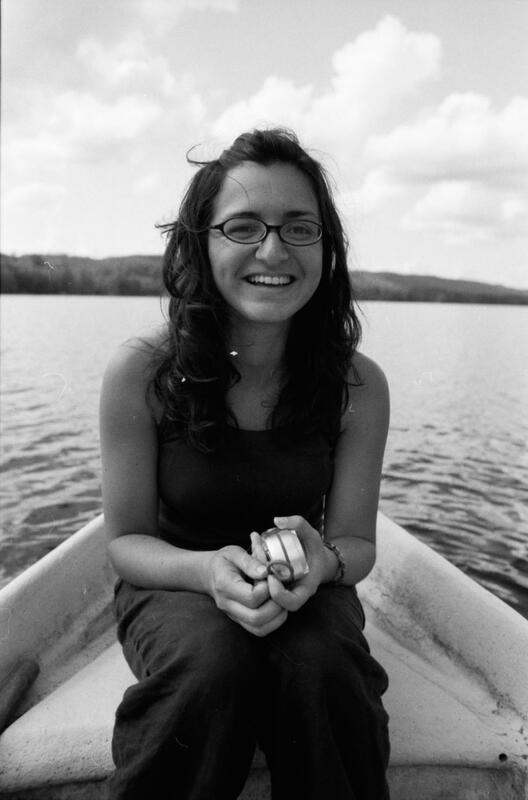 Sanchis then began interning with the International Center of Photography (ICP), and through her duties archiving photographs, she became moved and inspired by all the work she encountered. It was through her collaboration with ICP that she began making connections with Latin American photographers who she later showcased on Foto Féminas when it was launched in January 2015. The site was inspired by two important aspects about herself: her gender and Venezuelan heritage. Sanchis said she tries to incorporate a variety of topics and issues on her site and hopes to begin featuring more photography and stories related to the environment. “I think it’s our responsibility as both image makers and image producers. We need to make sure these are issues people are aware of,” Sanchis said. Above all, Sanchis said she is content with the community created through her platform and the impact it has had on herself and others. *Madeline Wells is a journalism student at the Moody College of Communication School of Journalism at the University of Texas at Austin. This story was produced as part of the class Reporting Latin America.